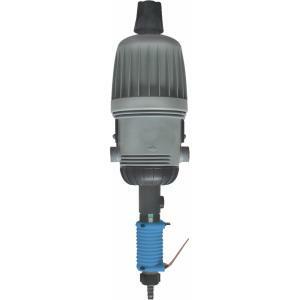 MixRite is truly a water driven proportioning injector, no outside power supply needed. The MixRite 500 Series injectors are designed to operate from .09 to 11 GPM. The seals and components of popular CW models are made for mildly aggressive additives, while the PVDF models are made for the most aggressive chemicals and additives. Units include suction tube connectors, 7' of 3/8" pick-up/suction tubing with foot valve strainer and a replacement lip seal kit.